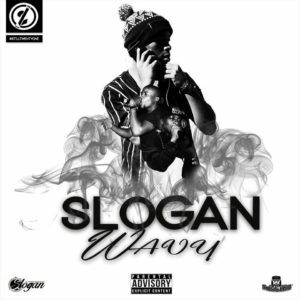 Pardon his ego but Slogan came at 2016 with the waviest follow up to hit the speakers. First things’ first, OTE artist and producer Isaac Wilson dazzles us with this hypnotic beat packed with what sounds like distorted screams in the beginning when the bassline hits but takes us to orbit when the snares rise and the bass really drops. Immediately you realise that this is no ordinary song but the single to carry us into this New Year. Proudly claiming that he is king of the town, the D.A. Labs artist starts the first verse heavily packed with an unstoppable flow, rhymes fitting every bar and slight jabs that you can’t ignore. You pardon his ego again for the second verse and you almost don’t realise that Slogan lets us in to his world about things that he cares about or seemingly doesn’t care about: anti-label, anti-hater, the bars about his family situation and other matters on his mind; trap never got this real and for the #1 spot it definitely deserves another listen. This song is pre-party gold when you’re all hyped for what’s about to take place for the rest of the night and also makes for an amazing first listen. The smooth and simple loop in the beginning starts out the song, building up with the trap snares, an unsuspecting voice pops up, the bass trips over itself and next thing you know you’re nodding your head to what you never expected to hear: some impressive back-to-back raps over well placed adlibs. 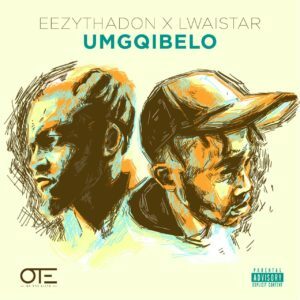 EezyThaDon’s simple repition of “Yeahh” throughout his verses just really did it for me and Lwaistar really took it home with the hook, real quality stuff. There are a handful of moments where hip hop in S.A really stood up and took raps to the forefront and there ain’t nothing that tells rappers to bring their bars with them than a remix to a hot song. Victory lap; remix, tswaa daar; remix(though some may argue that the original was better), Amantombazane; remix. It’s an even rarer occasion to see EC stand up and take part but The Blacksmithed managed to orchestrate EC history in the midst of the hip hop wave which was this song and garner up some of EC’s best to drop a sweet verse for the Dj Switch single. 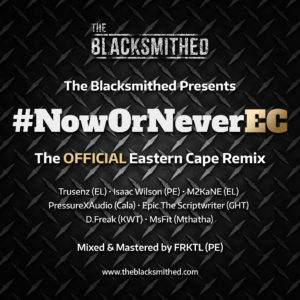 What I love most about #NowOrNeverEC is that it gathers artists from all over the Eastern Cape: Trusenz, the hip hop OG from East London who paved the way for a lot of the youngins who think got hot verses came and destroyed on this track, Isaac Wilson, mentioned earlier on the list and soon again later on the list comes from PE, M2kane who is also from East London came and represented bringing heavy bars (By the way, M2kane dropped a Now or Never with Kokstad artist ByLwansta previous to this one which they also killed). PressureXAudio held it down for iCala, Epic The Scriptwriter from Grahamstown had some clever quotables like “…cut off all your music to hear Mr. Bean talk” making the song all the more entertaining, Dfreak came hard with the flows as well representing the rise of female emcees from King Williams Town (it’s also worth to note that homegirl was in high school when she recorded this making it all the more impressive.) and lastly MsFit; also a D.A. Labs artist alongside Slogan, hails from eMthatha and comes in with impressive wordplay throughout his verse closing off the song.